Dear dog owners, keep your pet on a leash! My family of six is fortunate enough to live on the Sunshine Coast in an area where there is an abundance of beauty and many walking tracks available. We get a great amount of enjoyment from spending time outdoors together and relish in being able to live somewhere so beautiful. My daughters love getting outside, exploring and being in nature. But we aren’t the only ones who enjoy the natural beauty available to us; many four-legged friends do, too. While I’m totally okay with having to coexist with canine companions, I’ve noticed something really alarming: dog owners are going against council regulations and letting their dogs roam off leash in areas that they are required to be leashed. Areas where children also play and spend time in. Now, I’m all for dogs being able to explore nature freely – but not at the cost of a child’s safety. Just this weekend, my second daughter and I were enjoying a bush walk together when out of the corner of my eye I noticed a dog running towards us, and jumped up on my daughter. Although the dog might have just been playing, the fact is – he terrified my daughter. She was screaming, clearly scared out of her wits. As for the dog’s owner, he seemed put out when I suggested he take his dog to a more appropriate area to run around. It took at least ten minutes for my daughter to calm down and stop shaking, but honestly, she should never have been put in that situation in the first place. I don’t take my children to off-leash dog areas because I know, go figure, there will be dogs running around. I can’t understand why some dog owners feel like the rules don’t apply to them, and their pets. There is a way for us to cohabit respectfully, and it involves taking the rules and regulations seriously: they are there for a reason. 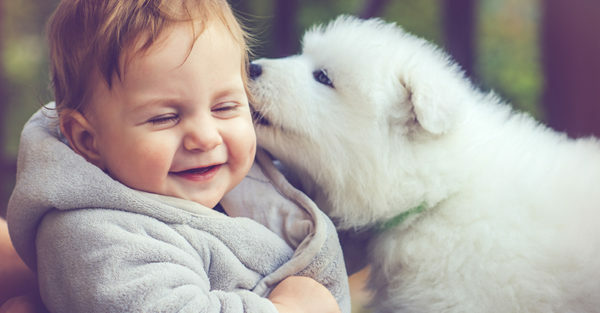 It’s important to remember that not every family has a dog for a pet, so it’s common for many children to find dogs pretty scary and overwhelming to be around: especially if they are the type of dog that jumps up, potentially knocking over a child with their exuberance. It was a pretty invalidating experience to go for a bush walk in an environment that we assumed would have no free-ranging dogs, only to be accosted by one whose owner didn’t feel obliged to leash. An excited dog and a frightened or threatened dog can look the same to a child like my daughter who isn’t used to being around animals. Many body signals can easily be confused and misunderstood by children who don’t know any better. Our experience was really confronting: it was all well and good for the owner to reassure my daughter with a phrase like, “Oh, she’s friendly, she won’t hurt you” – but my daughter didn’t know that, and she was terrified! If we as parents want to teach our children to enjoy the company of dogs and not create a deep-seated fear of them, then we need to be able to rely on the dog’s owners to pay attention to the rules. 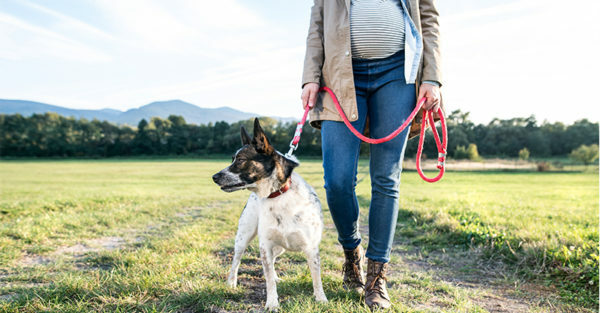 I’m hoping the experience from the weekend won’t mean that my daughter will be reluctant to go on bush walks with me in the future, simply because of one negative experience she had with a dog who was off leash – but really should not have been. So to all dog owners out there, I implore you: pay attention to the signage, and if in doubt – keep your dog on a leash. This way we can all enjoy nature’s beauty, safely, together.